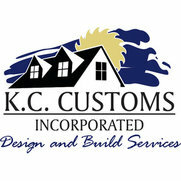 At K.C.Customs, Inc we tailor every project to the Owners specific needs and budget. Costs are open book. 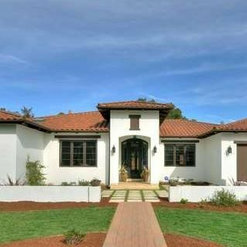 All projects are bid to multiple trades and selected prior to beginning construction by Owner. We pride ourselves in our ability to deliver quality on time and under contracted amount. 27 Projects for K.C. Customs Inc.
11 Reviews for K.C. Customs Inc.
KC came highly recommended both by my bank and architect, both of which are well known entities in the South Bay Area. I am glad they did because I am very happy with the result. Would be happy to speak with anyone considering KC Construction. KC has built several homes for my development company over the years. All of them have met our expectations and come in on budget. We look forward to working with them again in the near future. Kevin and his crew did a fantastic job. Kevin was very personable and easy to work with. We are very satisfied with our remodel. K.C. 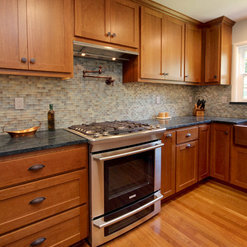 Customs & Remodeling created a wonderful open concept kitchen and family area for our home. 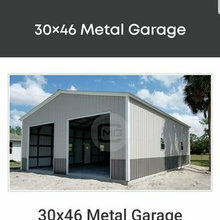 The project was completed on time and we were well informed during the construction process. 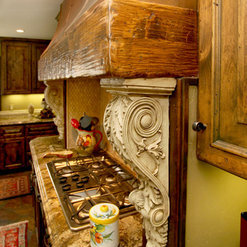 Their design suggestions and expertise were very helpful during the remodel. We love our new space and are very thankful that we chose this company. Thank you for the great review. Customer satisfaction is what we strive for on all of our projects and we are glad to see you enjoyed your remodeling experience and the outcome of your new space. KC Customs came to my rescue after my remodel project took a turn for the worst with another contractor. They finshed the job to perfection!! They corrected mistakes and bad work left behind by the other contractor. Kevin personally renegotiated a better deal with a textiles distributor that was handled baddly by the first contractor. They accommodated every change order with ease and in a timely maner. After the project was completed a few things needed tweaking and they handled them immediately. In a word, hire them!! You wont be disappointed. Carolyn E.
Thank you very much for your review. We were very glad to help you out with your unfortunate circumstance and get you back into your home and start enjoying your remodel. 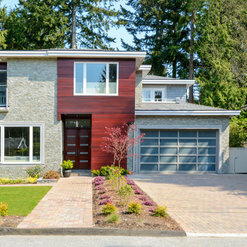 K C Customs has completed a number of homes for me and they were always finished with quality , on budget ( unless I changed things in the middle ) and in the timeframe I was given in the start. I will definitely use them again! Thank you for your review and we look forward to working with you on your next project. 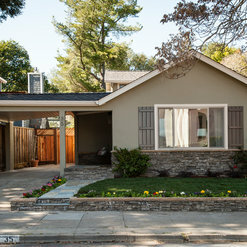 I am very pleased with the remodeling Kevin and his Company did to my home.. I would recommend him to a friend or family. Thanks for your review. We hope you enjoy your whole house remodel for many years. 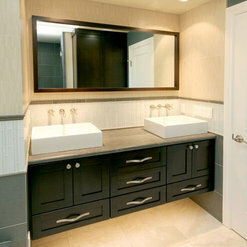 I used K.C Customs to do a complete remodel in our large bathroom. They were the most organized, quality conscience, and professional contractors that I have ever seen or met. And I have been around the block a few times. They were quick, diligent, clean, and to my delight, they helped my wife picked the type of materials and colors. That was huge! I really have never seen anything like them. Thanks so much for the great review. Organization is key on any project and it's our job to help our clients stay focused and on track with the visions that they have in mind for remodel. K.C. first did our master bathroom with great results!! They solved numerous technical challenges and we ended up with a perfect bathroom. 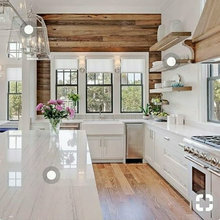 Next we asked them to do our kitchen. Again they met some technical challenges with great success. I would not hesitate to recommend them to others. We really enjoyed working with you on both of your projects. 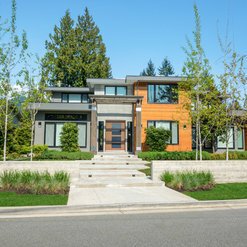 Every project has some physical challenges to over come and that is where many years of experience from building homes from the ground up allows us to over come any issues along the way. Thanks so much for your great review. 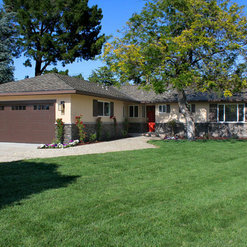 We used KC Customs for a studs out remodel of both of our bathrooms, as well as replacing all of the interior doors and hardware in our circa 1961 home in San Jose. We were so pleased with the process and all of the workers that were assigned were top notch, respectful and clearly masters of their trade. The job foreman was excellent in handling the scheduling and timing of the different trade workers. There were no surprises with project costs. Any adjustment needed was completely discussed in advance. I was most impressed with the communications process. We knew where we were with the project every day. Everyone who has seen the house has remarked on the lovely bathrooms. We were able to sell this house for a huge amount over list price, I am sure the bathrooms contributed to that. Thanks for all the great things you had to say about my company. Over the last 18 years in business clear communication with our clients is what has made my business so successful. We have recently implemented an online system that makes that process even better than what you may have experienced. If that's possible. LOL Glad everything went well on the sell of the house. We first encountered this company at the Sunset festival and were looking for someone to do a small project for us because we had really disliked the contractor who had just done our kitchen. They said they were more than willing to do something small so they redid a bathroom in our guest cottage and did some framing for a spice cabinet in our kitchen. I really like their appraiser but find her to be a little alarmist in terms of what problems we might encounter with permitting. (I guess it's better to be that way than to say "yeah, this will all be no problem" and then we have a lot of problems.) She had some great ideas about how to do our shower that wouldn't have occurred to us. The people who actually did the work were extremely fast and easy to communicate with. They were very available by text message and actually made great use of technology. The timing for the remodel worked out such that we were out of town while they were doing the majority of the work and they were happy to send us photos and questions by e-mail and text so that we could coordinate. 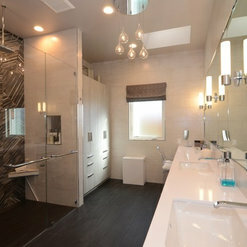 I am not very picky about design and so I hadn't even thought about colors to paint the bathroom when they were done. I asked them to just pick something that looked nice and they were happy to just pick a neutral color and go with it. The shower had some leaking problems after they installed the doors but they happily came back without complaining until it was fixed to our satisfaction. All in all we were so happy with the service we got that we have asked them to help us do a much larger remodel of the entire house. Hopefully that experience will work just as well! 5 Ideabooks for K.C. Customs Inc. Commented: I really like this faucet - can you tell me who it it by and the model? Thanks.That is correct! It is a Kohler K-5317-4. Good eye!